No word on a western release yet. It’s getting closer to E3, which means that games are being leaked or announced left and right. Earlier today, Tomonobu Itagaki, the creator of the Dead or Alive series, released a 10 minute video (above, although it’s all in Japanese) regarding his upcoming Wii U exclusive, Devil’s Third. 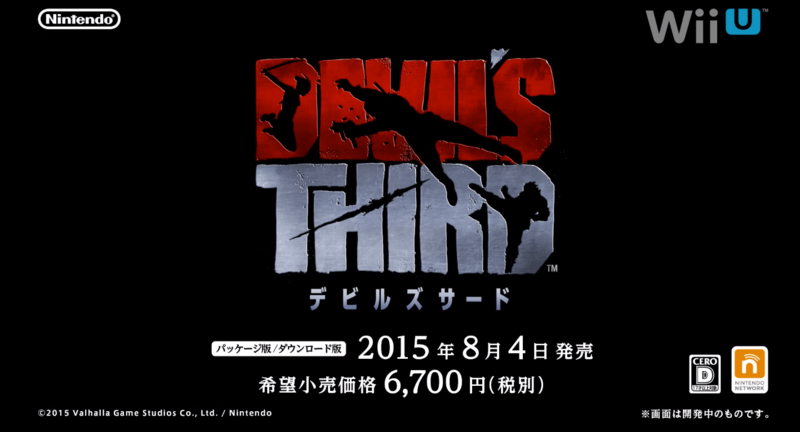 In the video, we see a bunch of gameplay footage before finally being graced with a screencap announcing that Devil’s Third will be releasing on August 4 in Japan, for 6700 yen (around $50 USD). Obviously this is big news, as we have heard very little regarding the game since its announcement at last years E3. Hopefully at Nintendo’s upcoming E3 stream, we will get news on a Western release. Make sure to stay tuned for any updates.